Home > Uncategorized > It’s Becoming Real…..
Old joke – what’s the difference between eggs and bacon? It’s the difference between involved and committed – the chicken is involved, but the pig is committed….. 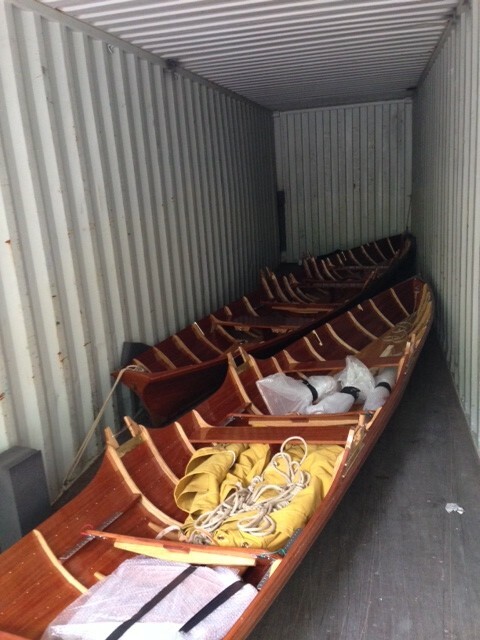 So today, we loaded the two Thames Skiffs onto the container to be transported to the mid west for the beginning of the project. As the doors closed on the container, there was the sense that, for the purposes of the the project, we in the core team had just become pigs. I will also have with me a “core team”, who will be with me for all three months. I was astonished at the kindness of the friends who will participate, but utterly humbled by the core team members who are giving up significant chunks of their lives to make this thing happen. My intention is to introduce the core team to you as we go, as well as something about the participants. I am also aiming to write this blog (at which I am a complete virgin – at least until I press the “publish” button). To make the journey just a little more spiky, I am going to attempt the row in Victorian Thames skiffs, made of African (sustainable!) mahogany, the design of which is essentially unchanged after two hundred years or more. 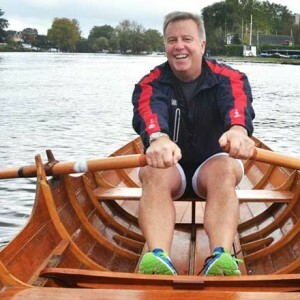 I love the idea of an eccentric middle-aged Englishman, rowing the length of the most iconic river in North America in a Victorian wooden boat with fixed seat and fixed pins (geek alert – I am a rower and rowers will know precisely what this means and love the arcane nature of the boats). I am also told that when my technological expertise increases (somewhere between now and the freezing over of Hell), I will be able to add photos, so I promise to get right on that…..